I have always been a fan of Japanese sports cars. While my friends were busy tearing out pictures of Mustangs, Firebirds, and Camaros from the pages of 70’s and 80’s muscle car magazines, I was searching for the elusive Datsun 280z or Toyota Celica GT advertisement. While the folklore that surrounds vintage Japanese may not be that of huge horsepower or gobs of torque, cars from these automakers are remembered for their “bulletproof” engines and “on-rails” handling. Although they couldn’t take Night Rider off the line, they would often catch him in the twisties, and do it with less gasoline and scheduled maintenance. 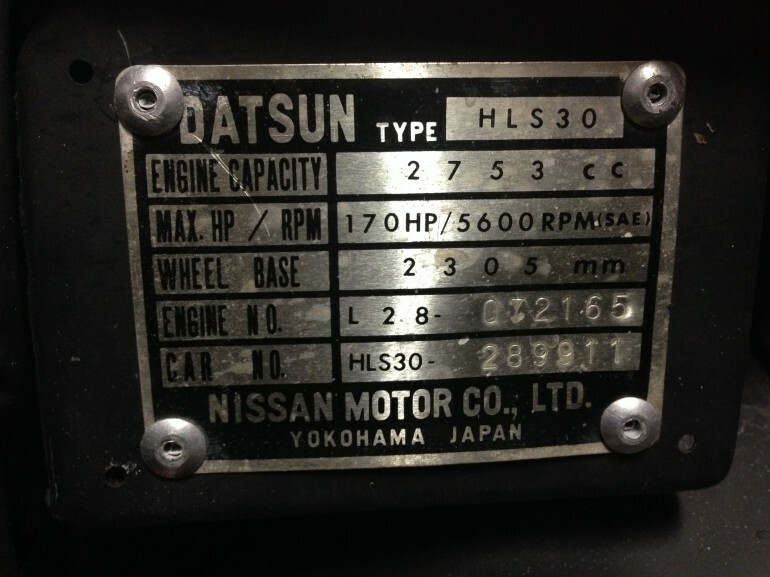 The Japanese sports car philosophy was to find the proper balance between design, performance, reliability, and cost. The end-result was that almost anyone could own a capable performer at an affordable price that exceeded as a daily driver, was great on gas, but also presented well at the local Saturday morning Cars and Coffee. Throughout the eighties and nineties, Japanese-import sports cars began to evolve into bigger, more luxurious automobiles. Higher displacement turbocharged engines replaced their fuel-efficient counterparts. 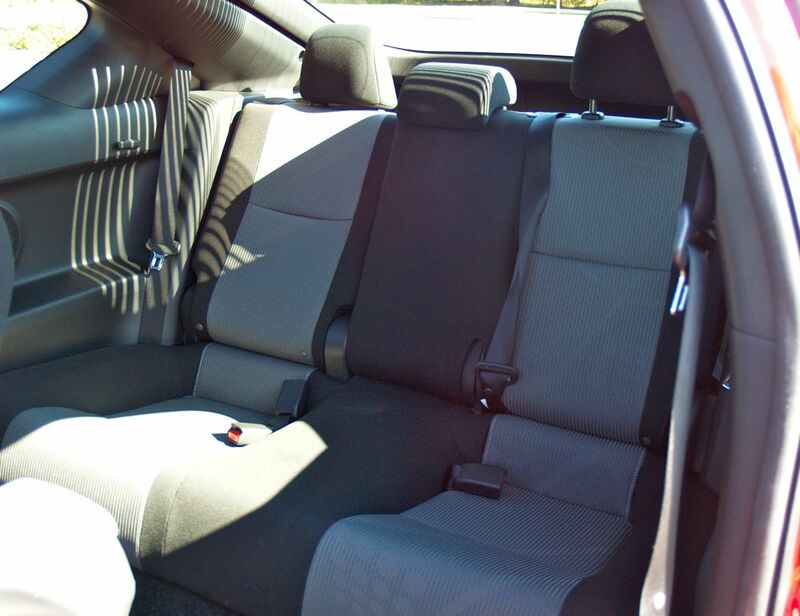 Lightweight vinyl made way for dual powered heated leather seats and the cars grew significantly in both weight and price. In many cases, the flagship sports cars became so expensive that they struggled to find buyers. By the end of the 1990’s three of the most successful namesakes, Nissan Z, Toyota Supra, and Mazda RX7 ceased sales in the US or stopped production altogether. Although there are multiple reasons that these cars were no longer available, many argue that straying so far from the original formula of balancing aesthetics, performance, reliability and cost distanced the cars from buyers looking for a well rounded vehicle that was fun to drive. To fit the formula the car needs to be visually appealing. 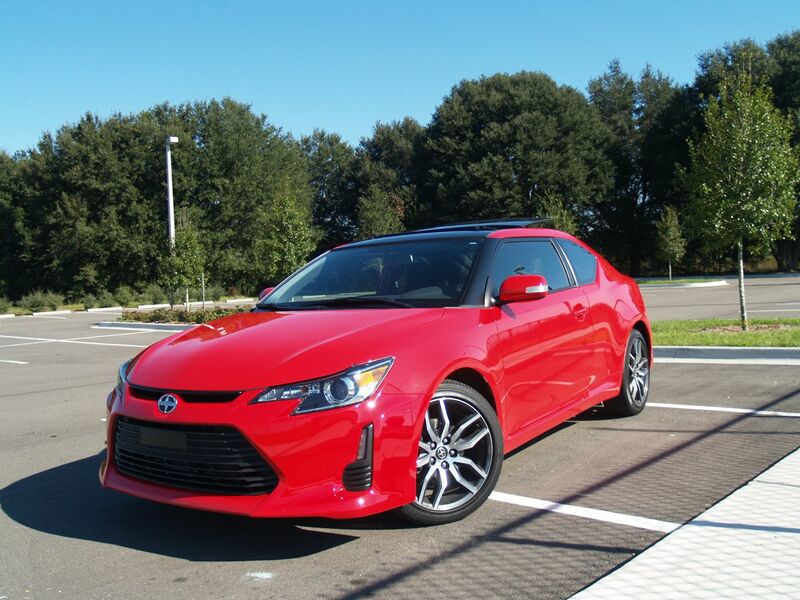 The new 2014 tC’s styling borrows heavily from Scion’s top of the line FR-S. The longer, sloping hood adopts the FR-S front fascia styling, complete with attractive projector lights and LED accents. 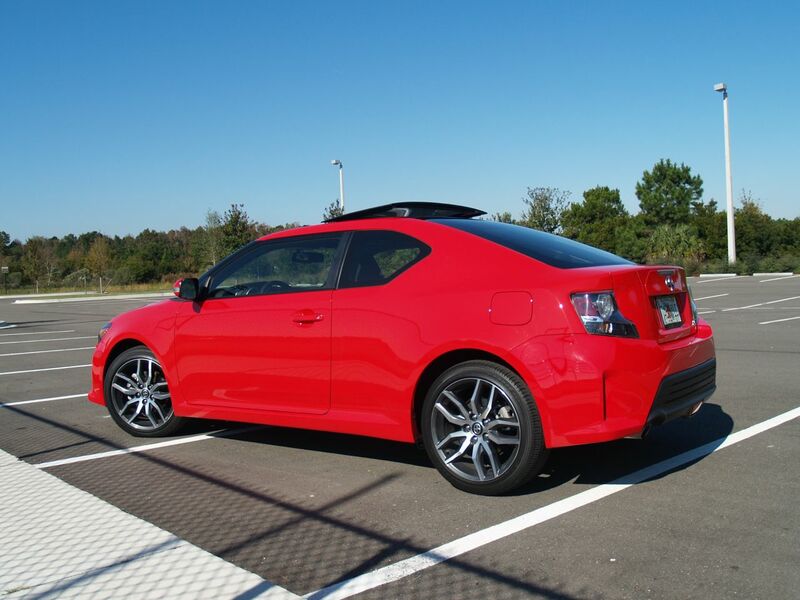 All of the 2014 tC’s come standard with a tuner styled 18 inch wheel and 225/45R18 tire combination. 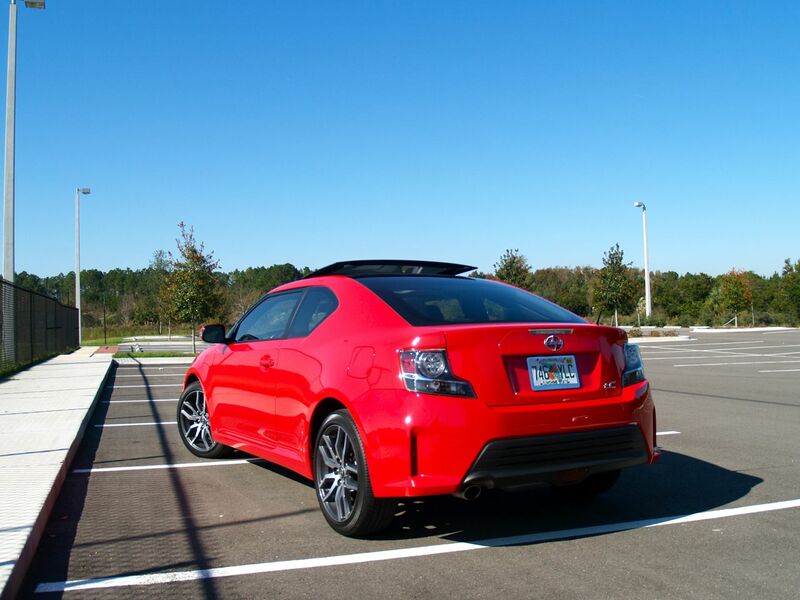 The rear of the Scion tC also borrows heavily from the attractive FR-S, replacing 2013’s sedate rear bumper with an attention grabbing contrasting painted bumper and matte black valance that is complimented by the new LED tail lamps. 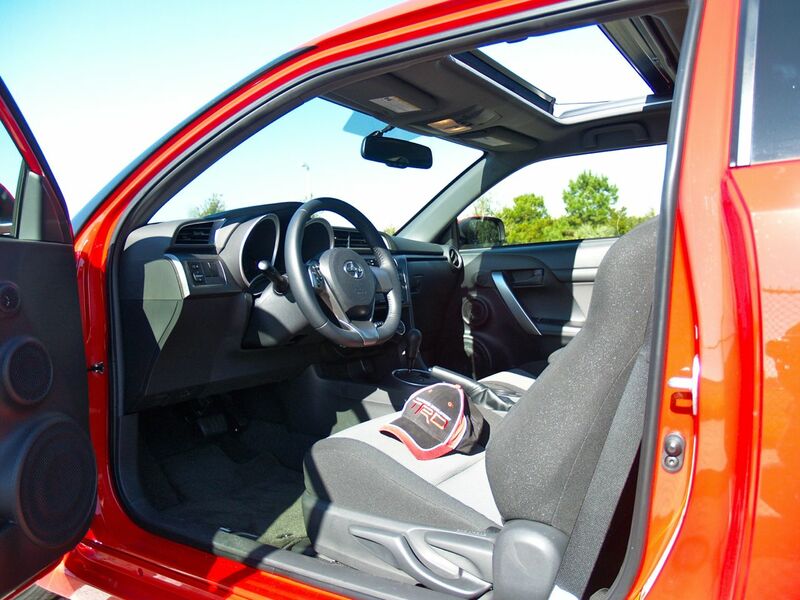 The interior of the car is roomy and employs some attractive “metal look” plastics that are actually a lot nicer than they may sound. 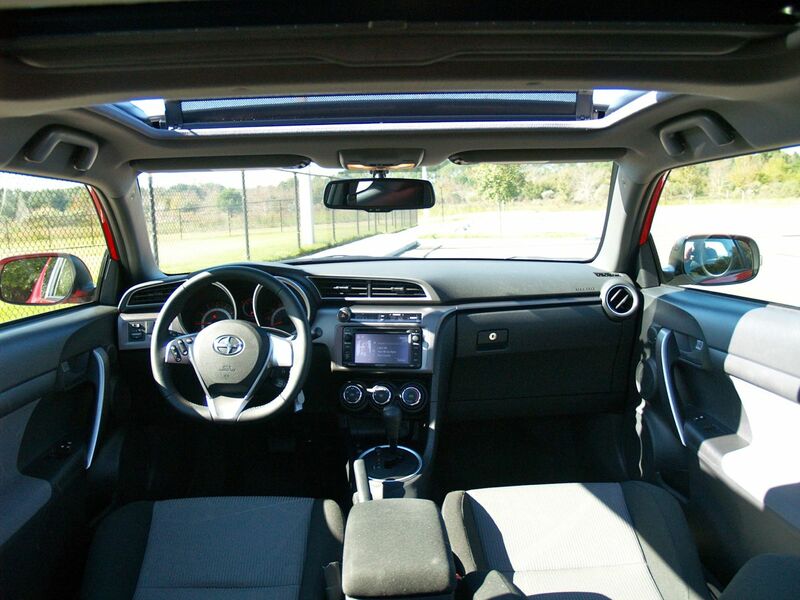 The racing styled front seats are firm and comfortable, keeping you firmly planted during more spirited driving. 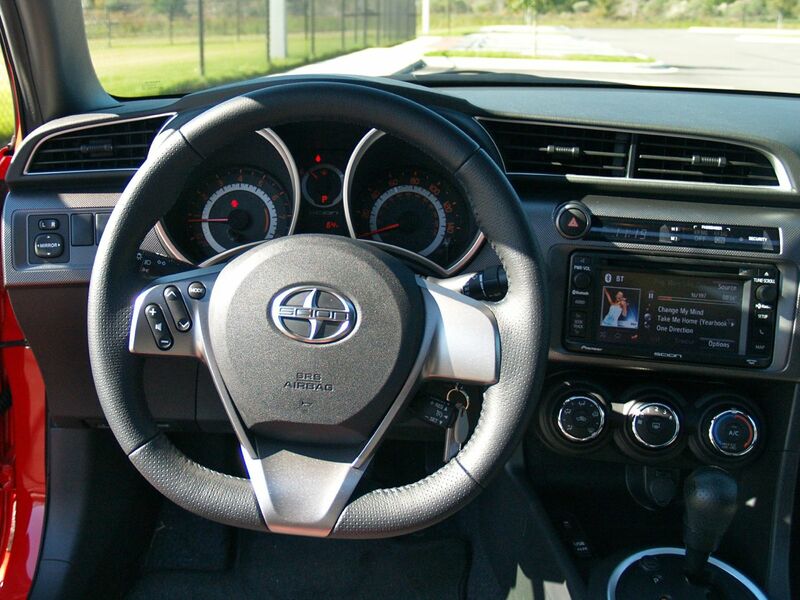 The gauge cluster is efficient and has everything you would expect in an affordable compact. The 300-watt maximum output audio system includes a 160-watt Pioneer AM/FM/CD head unit, complete with a 6.1-inch LCD touch-screen display, and an additional 140-watt 2-channel amplifier supplying power to 8 very decent sounding speakers. Complimenting the Inputs for auxiliary audio and USB is standard Bluetooth connectivity, which worked flawlessly with my iPhone 5. After initially syncing my phone, which only took a minute without any instructions, the phone and radio worked together flawlessly. But as much as I appreciated the audio system the real treat for me in the new tC’s interior is the tilt/telescoping leather wrapped steering wheel. What can I say, I love this steering wheel. It is chunky and flat on the bottom, it reminds me of the racing video games from the arcades of my youth. And while a steering wheel may not make a car any faster or drive any better, it sure can make you feel like you are going faster! If you are reading this and are shaking your head I understand, this may have more to do with my love of simulated racing video games than anything else. 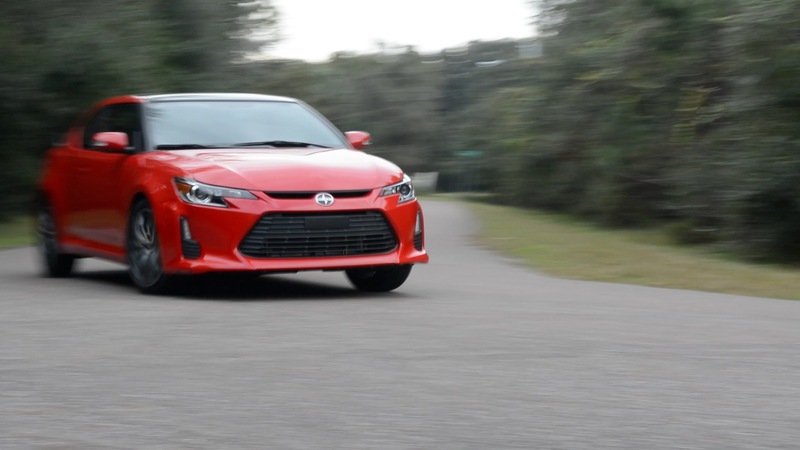 Entering a corner with a little gusto gives the Scion a chance to show off the stronger chassis and retuned electronic power steering. 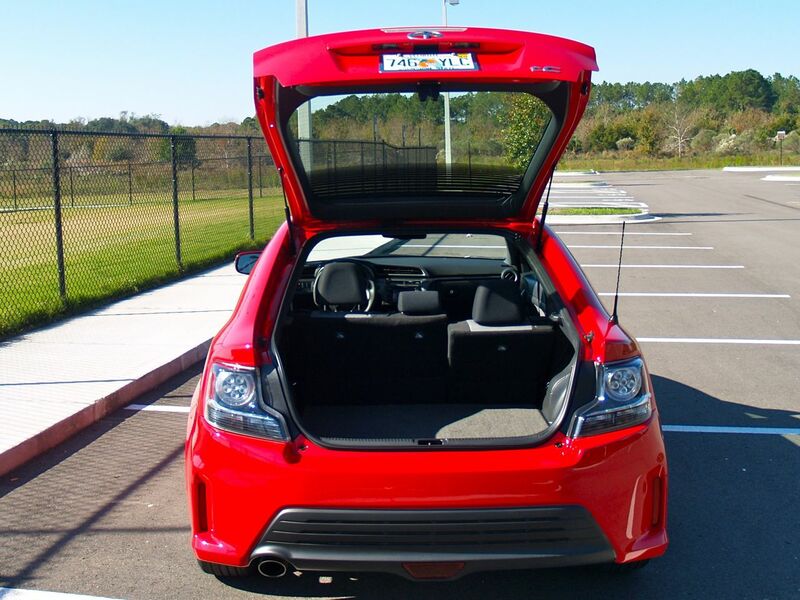 The tC corners without a lot of fuss, rewarding the driver with good grip and frankly, the desire to do it again. The large, for the car, four-wheel disc brakes provide excellent stopping power. 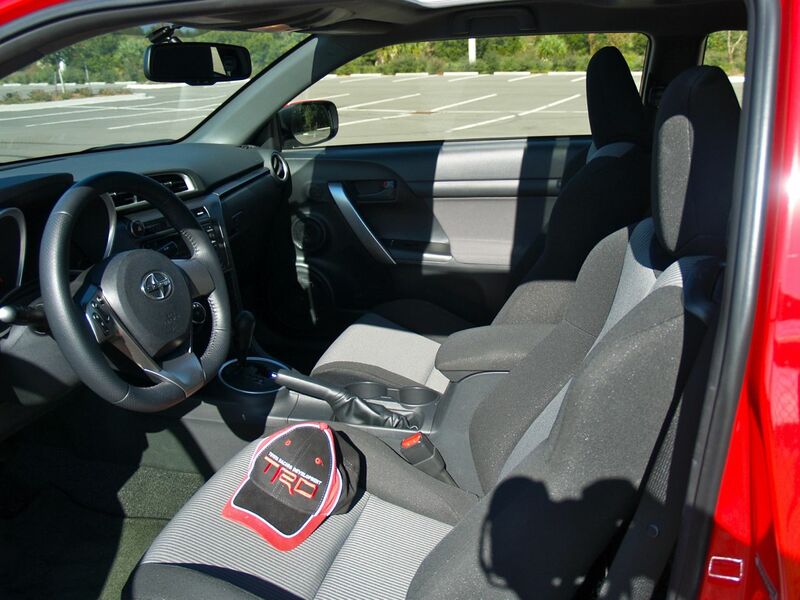 A quick glimpse at the available performance options from TRD (Toyota Racing Division) reveals a great variety of available “go fast” goodies including lowering springs, performance intake and filter, even bigger brakes, a quick-shifter, strut braces, and more. 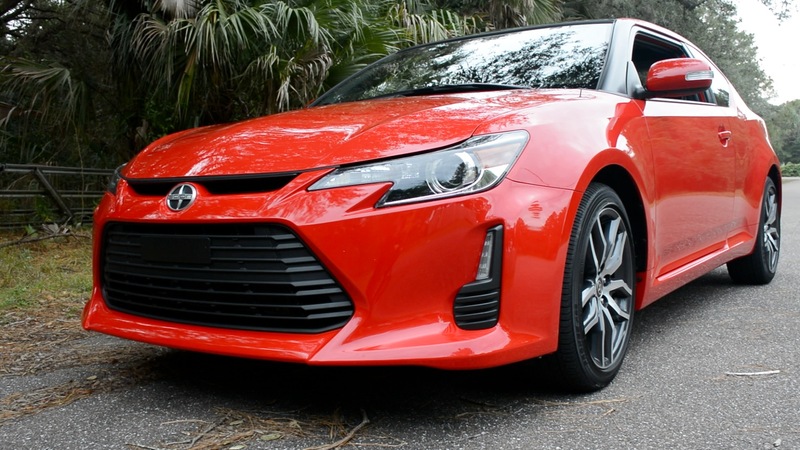 While we are mentioning Scion’s parent company Toyota, I think it is a great time to talk about the 2014 TC’s reliability. The Scion’s 2.5 L Inline 4 DOHC engine is the same unit found in Toyota’s legendarily reliable Camry. And honestly, whether you are a fan of imports or not, when you think of “bullet proof” engines it is hard not to put the Camry’s strong running 2.5L close to the top of the list. 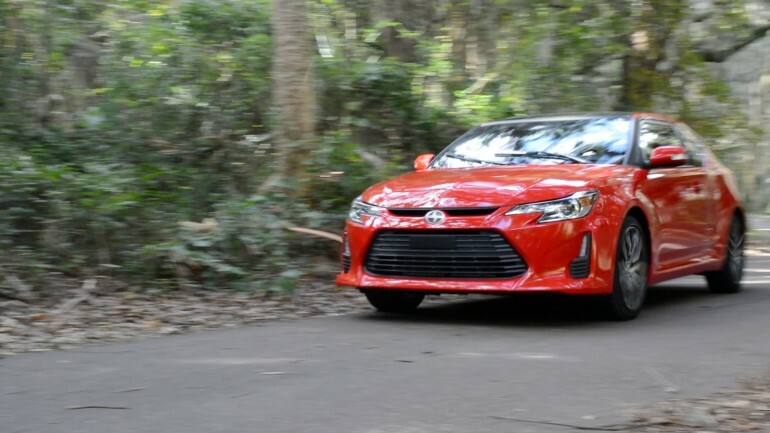 Although the drive train and hard earned Toyota reputation alone does not mean that the Scion will prove to be reliable in the future, the pedigree and two year or 25,000 mile service that comes standard with the car should help ensure that the tC gets a fighting chance. 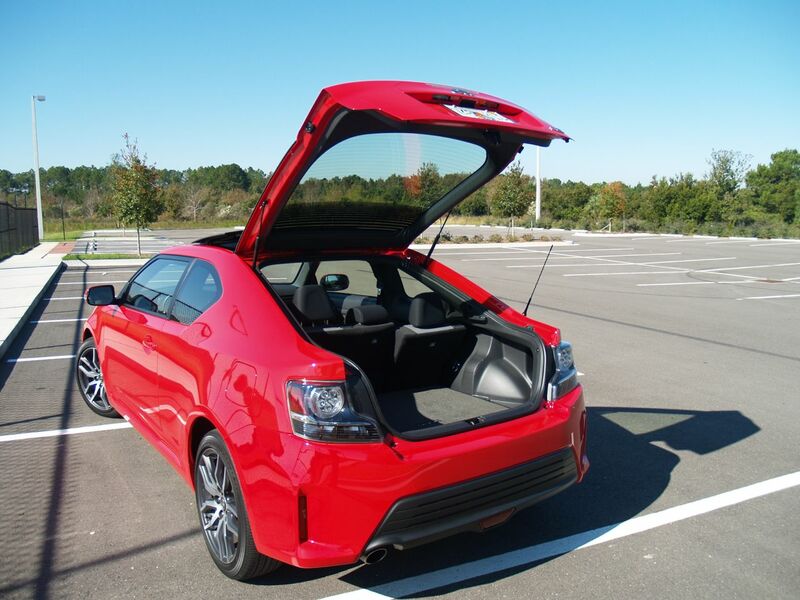 Finally, it is important to consider the cost of the 2014 Scion tC. The new tC starts at $19,965 for the manual and $20,965 for the automatic. Scion’s pricing model is fairly simple, almost everything comes standard on the car at this price. 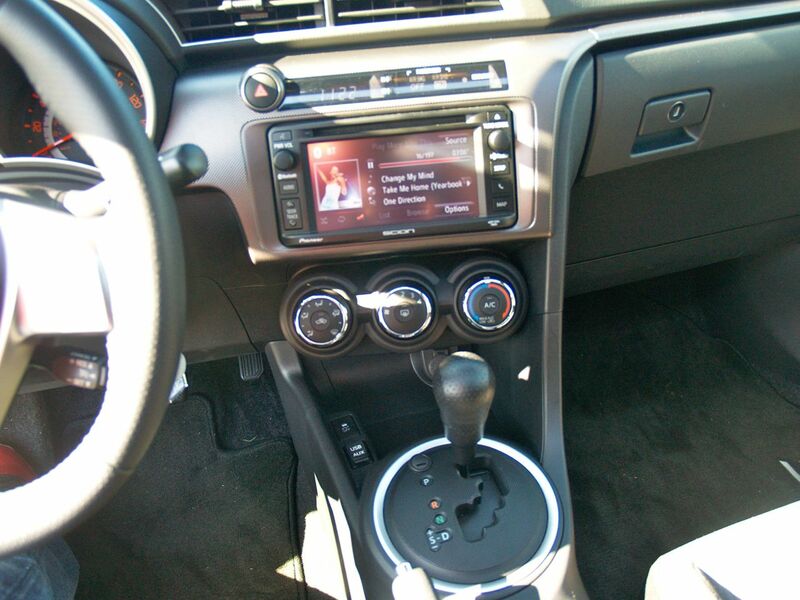 The one exception on the car that I reviewed was the optional all new BeSpoke Premium Audio system featuring Aha™. 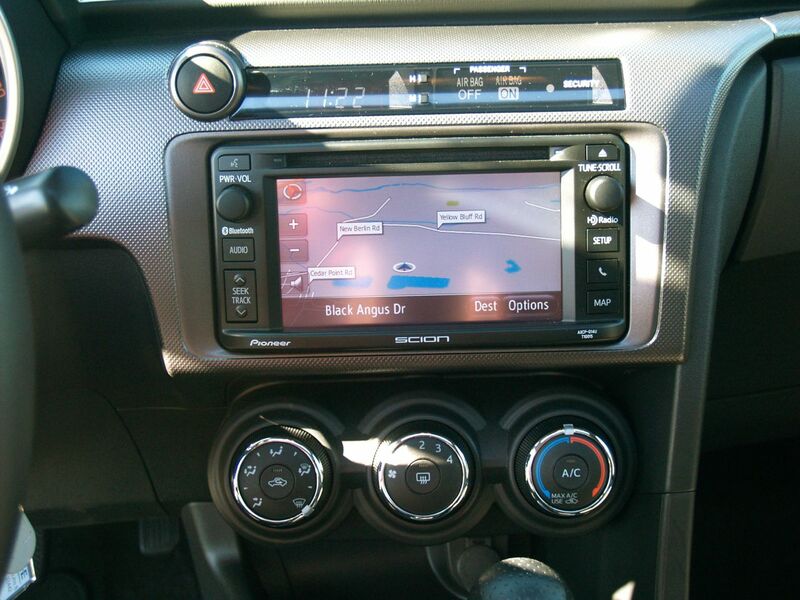 This upgrade adds functionality to the already existing Pioneer system and includes full navigation, as well as the ability to connect compatible smart phones through Aha to access 30,000 free audio stations, including Scion’s own signature station featuring a lineup of its 17 music channels and location based services like Yelp and TripAdvisor. 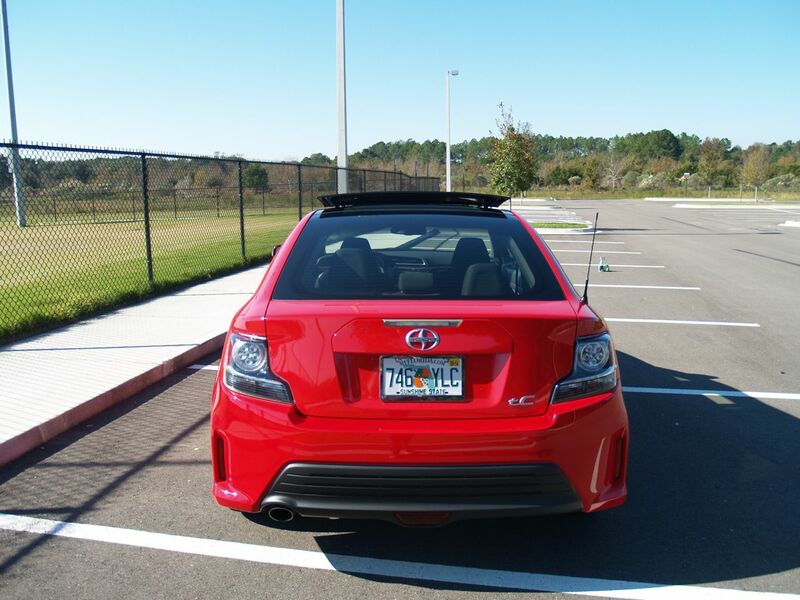 The 2014 Scion tC is affordable, but the car certainly has numerous competitors that deserve a peek before settling on a purchase. 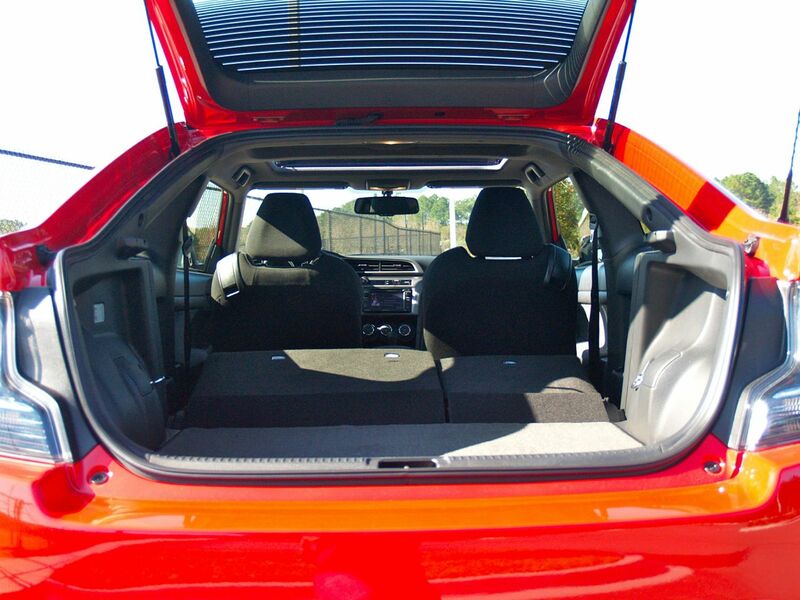 I also want to note that while the back seat is very spacious for a car of this size, a couple of my passengers mentioned the road noise level during a longer road trip. Although it is biased, Scion has designed a nice webpage title “Feature Fight” that compares the 2014 with five of the cars rivals. 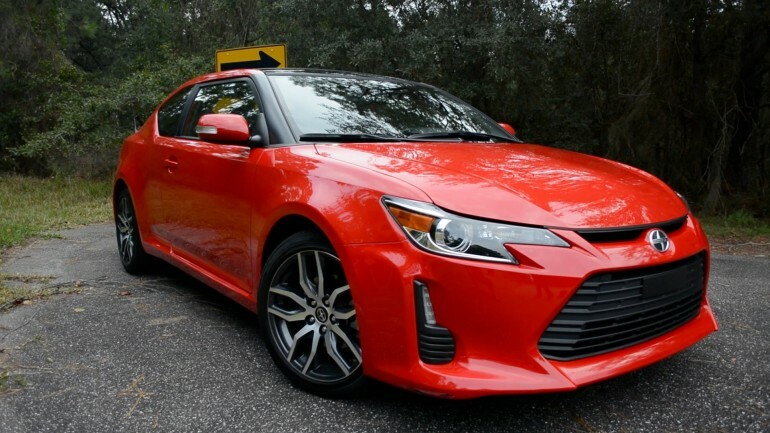 I have included the link below, and if you are considering making the 2014 Scion tC your next vehicle, it is definitely worth the visit. Price: Base Automatic $20,965 / As-Tested $22,613.00 including a $795.00 delivery and handling fee. Length x width x height: 176.6 x 70.7 x 55.7 in. Headroom (f/r): 37.7 in. / 36.4 in. Legroom (f/r): 41.8 in. / 34.6 in.